Pauly Shore tasted super-stardom in 1990 when his precedent-setting MTV show Totally Pauly, hit the airwaves to major fan approval. The show ran for six years, leading him to star in numerous television and film roles including the one-hour HBO television special, Pauly Does Dallas, and starring in the films Encino Man, Son In Law, Jury Duty, In the Army Now, and Bio Dome. 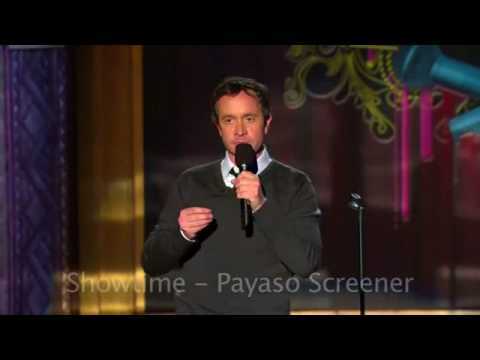 Since then, Pauly went on to star and produce in his own projects including Pauly Shore is Dead for 20th Century Fox, as well as Vegas is My Oyster, and Pauly-Tics both available on Crackle. Pauly is currently producing a six-part documentary series based off of his original documentary Pauly Shore Stands Alone. Additionally, Pauly recently debuted the video portion of his podcast Pauly Shore Podcast Show, on Crackle featuring guests like Judd Apatow (movie director), Irving Azoff (manager of The Eagles), and Ziggy Marley (reggae superstar). Pauly remains hard at work on a historical documentary of his life spanning the 60s, 70s, 80s and 90s about his life growing up at The Comedy Store in West Hollywood. He recently played Stephen Miller in a viral Funny or Die video and stars in an original Funny or Die sketch with Bobby Lee, Jay Mohr and Richard Schiff. He also just produced an animation short entitled Pauly Shore's Mr. Wiezel Goes To Washington, which is featured on Funny or Die.